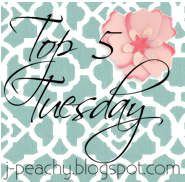 I’m linking up again with Rachel of Just Peachy for Top 5 Tuesday. Today’s topic: school supplies! As an office/school supply freak, I couldn’t resist! 1. PENS I love pens. These are the two I use the most, the Pilot G2 and the Sharpie Pen, fine tip. Black is my favorite. Love them! 2. PENCILS I use pencils a lot. Most of the time I just go with the cheap Bic mechanical pencil, which I have a million of, but sometimes the classic Ticonderoga #2 is the way to go. I mean, it has by far the best eraser. Am I right or am I right? 3. POST-ITS They are just so handy. And they come in a variety of pretty colors. Bonus. 4. SPIRAL NOTEBOOKS When I was younger, I had a kajillion full sized spiral notesbooks. I couldn’t get enough. Since then I’ve moved to the smaller version for grocery and to-do lists. It fits in my purse and I take it everywhere with me. This little guy is from Wal-Mart. Honorable Mention: CRAYONS There just isn’t anything quite like a fresh box of crayons. My elementary school self would have put these babies as numero uno. Do you think I could be any dorkier? What are your favorites? Join the link-up! I Love love love stationary too! As a kid my dad would take me to Staples.as my birthday outing- that”s how much I love it! That's so cool! Have you been to Paper Source? I die! Seriously my favorite store ever. HAHA!! I love the Honorable Mention… Remember the crayon sharpners on the back of 48 packs?! Miss those days. Okay I just have to say that I LOVE your blog design! I am obsessed with polka dots and this is just too cute! I actually have that notebook! I love the polka dots on it. 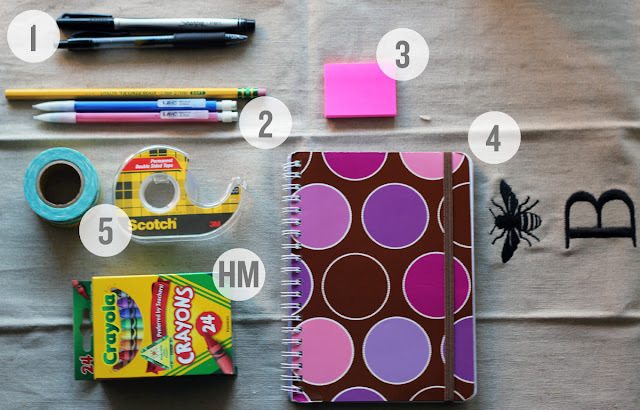 :) I kind of miss the beginning of school–and the excuse to buy such fun supplies!